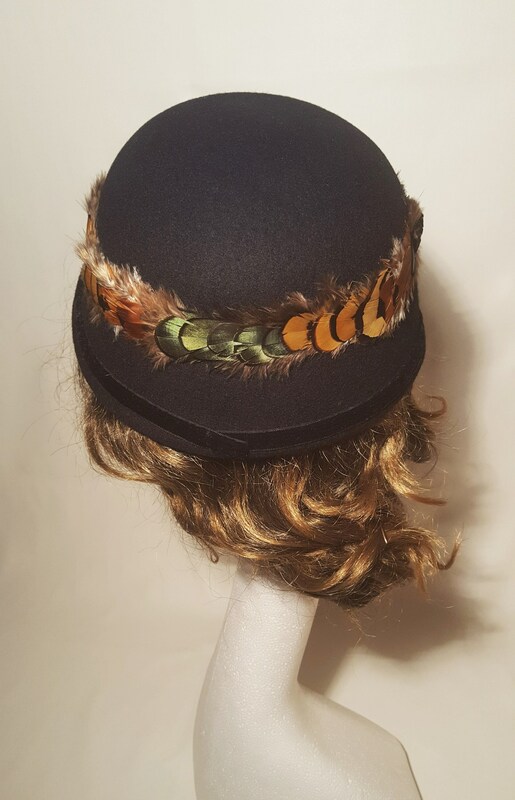 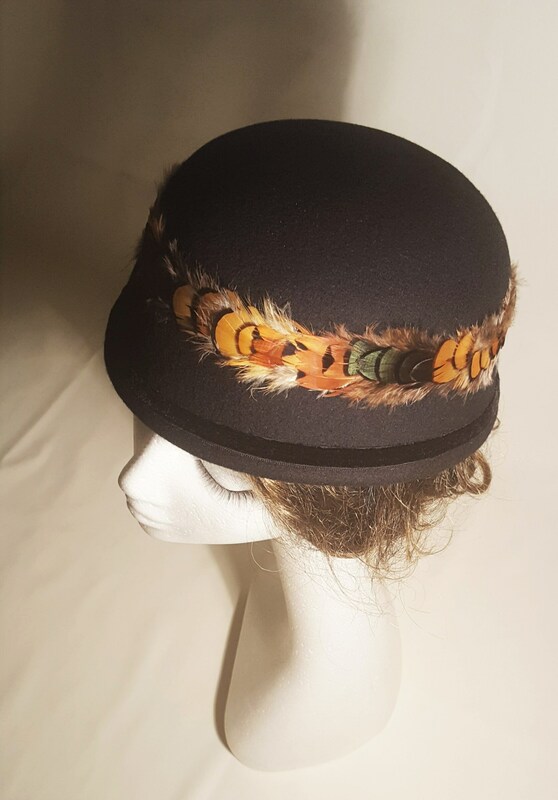 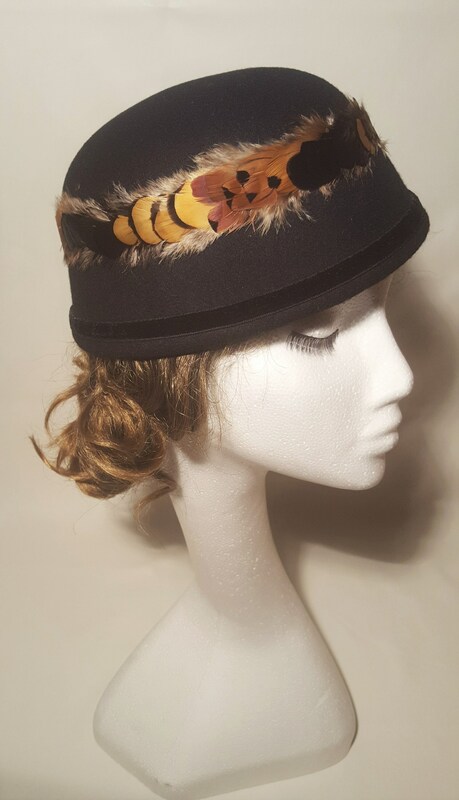 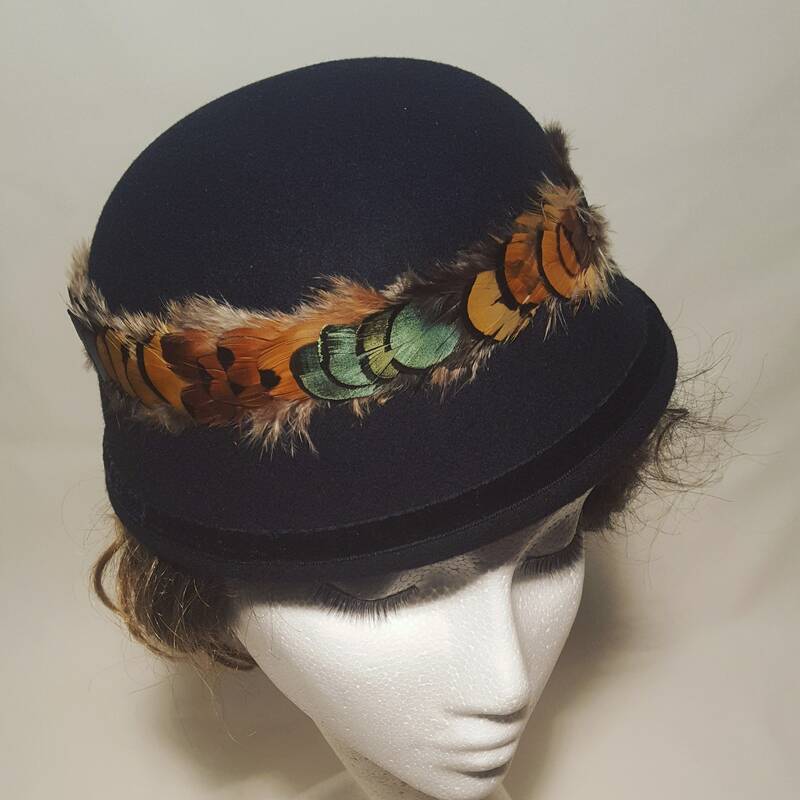 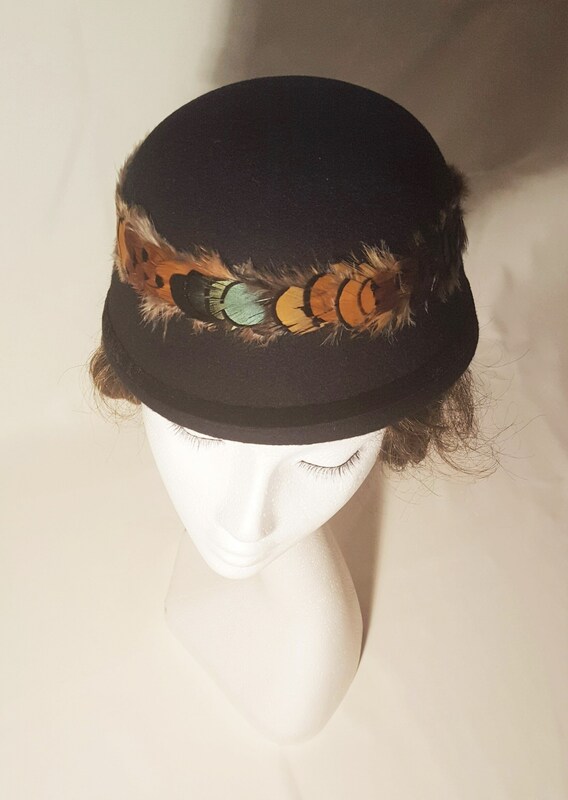 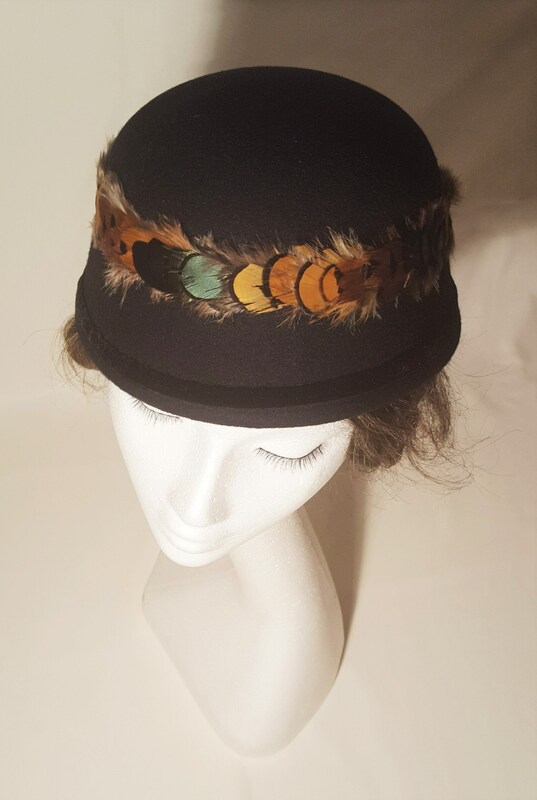 Sophisticated 1940's style black hand-blocked felt cloche with natural pheasant feathers crown. 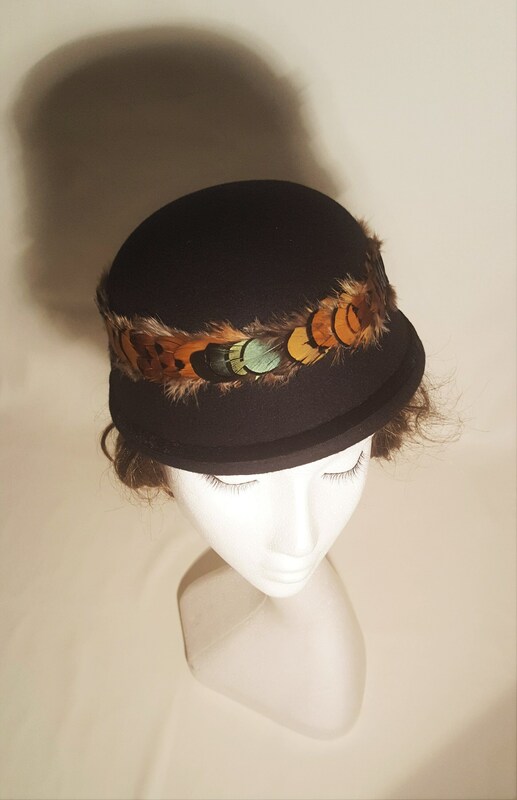 All feathers are individually hand sewn, not glued, so this hat will last forever! 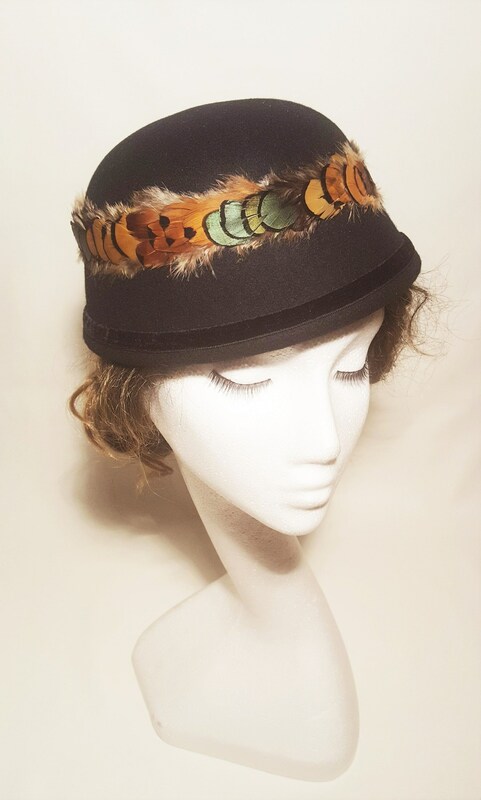 The hat is a size 57cm circumference, the most common. 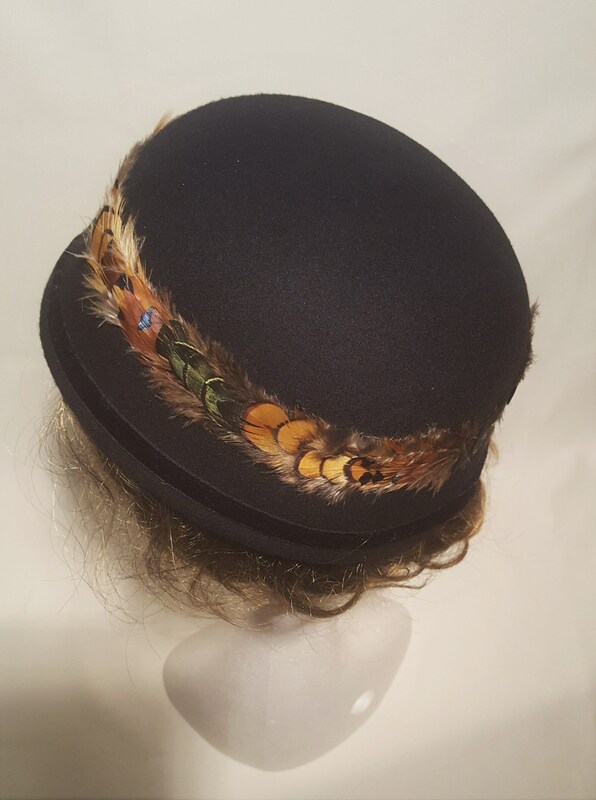 You will be able to adjust the size with Hat Sizing Tape in case you need it smaller. 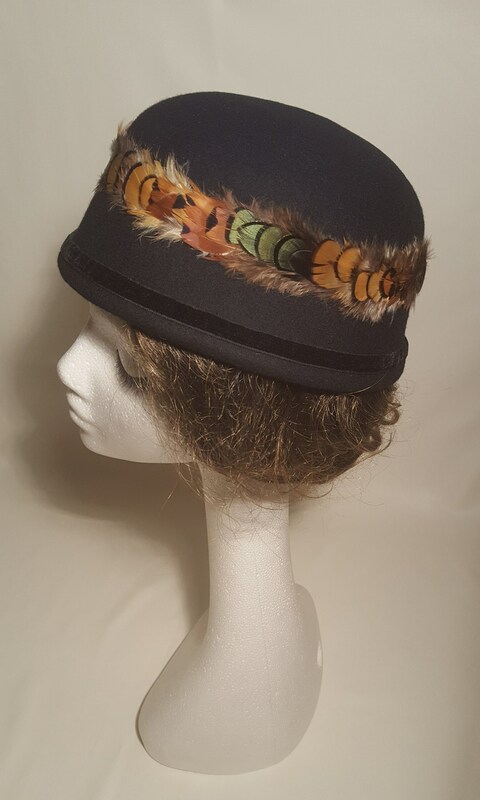 Please note this particular hat fits best when placed in the back of the head, leaving the forehead free.